Stock Photo - Plaça de Sant Jaume and Palau de la Generalitat. 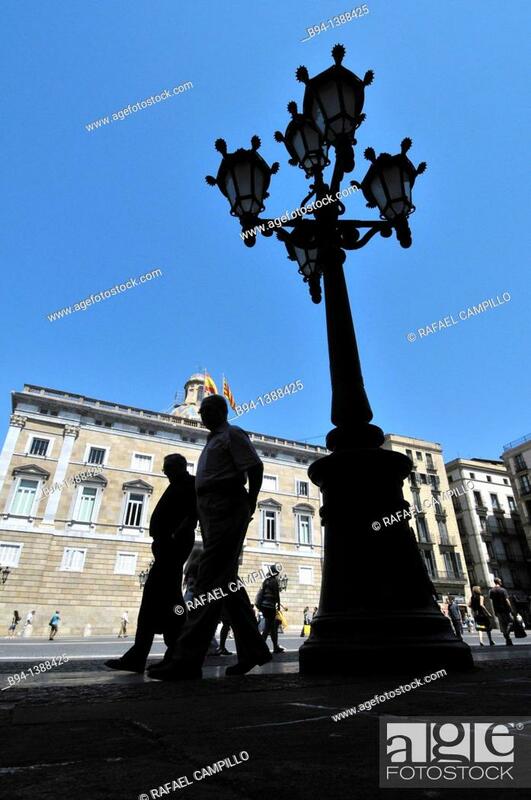 It houses the offices of the Presidency of the Generalitat de Catalunya. District of Ciutat Vella. Barcelona. Catalonia. Spain.